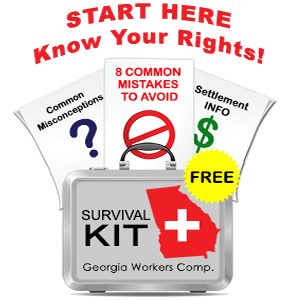 Georgia’s workers’ compensation laws are intended to be “liberally construed” meaning that as a matter of public policy, benefits should be awarded to a claimant who suffers and injury while on the clock. Both the Georgia workers compensation statute and courts interpreting that statute do allow employers to deny claims based on certain conduct on the part of the injured worker. For example, an employer can deny a claim that is otherwise payable if the injured employee was drunk or under the influence of illegal drugs at the time of the accident. Here is an example: Tom injures his back in 2003, while working for Acme Landscaping. He files a workers’ comp. claim that settles for $35,000 in 2005. In 2008, Tom applies for work with Zenith Manufacturing and in his job application, he answers “none” to a question about any prior back injury. If Tom reinjures his back and files a claim for benefits, Zenith can controvert (contest) this claim on the grounds that Tom lied on his job application, that had the employer known about his back problem, Tom would not have been hired for the specific job at Zenith and the new back injury is related to the old one. By contrast, if Tom’s new injury was a broken foot caused by falling boxes that were pushed over by a forklift, Rycroft would most likely not be a viable defense because there is no “causal connection” between Tom’s misrepresentation on his job application and the foot injury. It is been my experience that employers and their insurers will raise a Rycroft defense if there is any relationship at all between the prior injury and the new injury. In the example above, if Tom reinjured his back by falling 20 feet off a ladder, the employer would most likely controvert the claim by arguing that (1) Tom’s balance was compromised by his prior back injury and (2) that his injury was worse than it would have been if he had never experienced back injuries before. Employer/Insurers sometimes use Rycroft defenses to avoid picking up claims (weekly benefits and medical care) to force a “no liability” settlement with the employee. 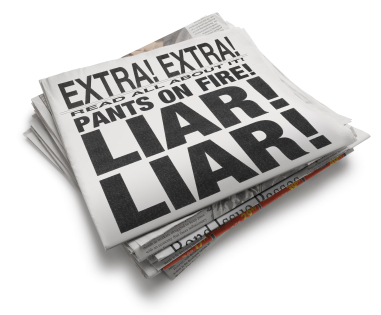 Obviously not every job application misrepresentation will support a successful Rycroft defense but these misstatements do give the employer/insurer leverage and can make the judge question a claimant’s honesty. You can read more about the Rycroft defense – (1) on my Georgia workers’ comp. blog and (2) on the website of an insurance defense law firm that I often face.